Klin, Moscow State, Russia - 31 August 2018. The State Memorial Musical Museum of P.I. Tchaikovsky. 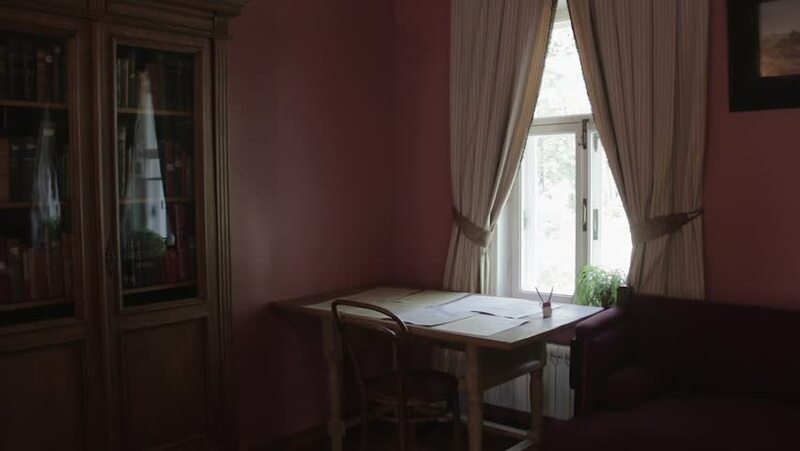 Table with music scores in the bedroom where Tchaikovsky wrote his 6th symphony.